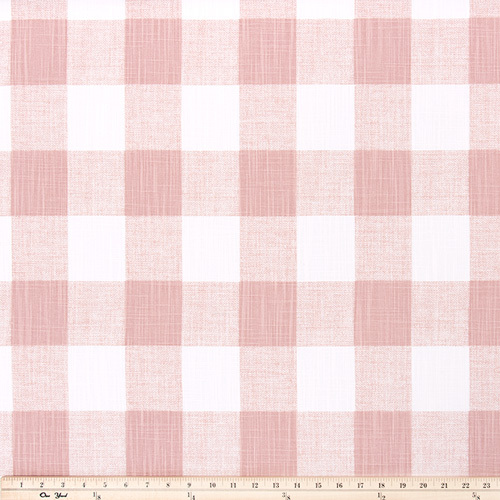 Anderson Blush pink slub canvas cotton home decorating buffalo check fabric. Suitable for light upholstery, drapery, headboards, decorative pillow covers, crafting or other home decorating projects. Medium weight fabric.